For long months (years? Yes, years) I have been jealous of the UT, AZ, NV area getting so many book signings with Brandon Mull, the brains behind Fablehaven, the Beyonders, the Candy Shop Wars, and the first books in two other series I have yet to feast my eyes upon. The jealousy has ended! Tonight I went to see him and three other authors I had never heard of do live scene readings from each of their books and attend a signing afterward. He was just as magical as his books are. He was SO nice, so friendly, and very talkative. 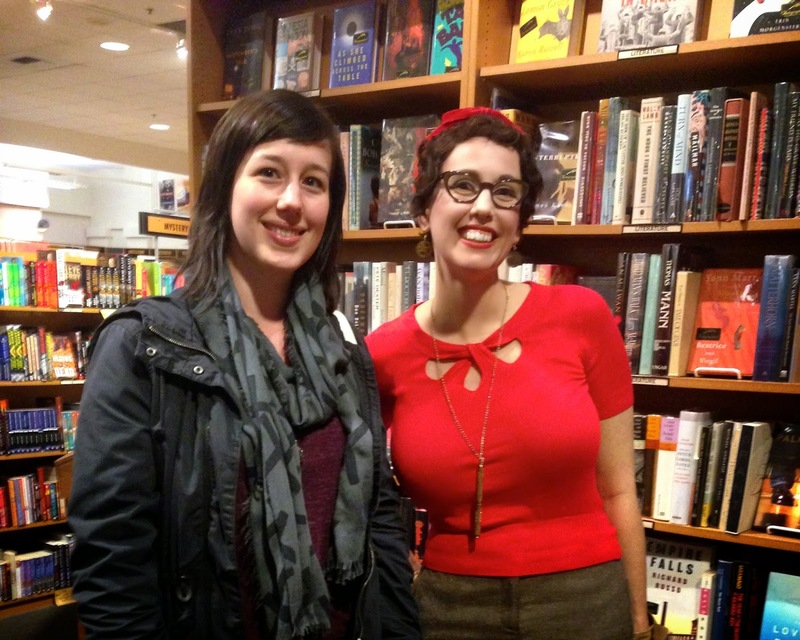 I have officially met the two best authors ever to be. Oh, and Joe and I were definitely the oldest non-parents in attendance. Cheers to book nerds! Who are your favorite authors?